quite a few switches are a bit stiff. Allan Jenkins built the desk and is doing the restoration work with me helping out ( trying not to get in the way...) Should be up and going in about a weeks time. Last edited by Chris H on Fri Nov 30, 2007 1:49 pm, edited 1 time in total. what's it like, working with rotary faders? such a georgeous creature. can i come over to pat her? mfdu wrote: oh chrisH, she's beautiful!!!! but just the thing for tracking and summing from the DAW... the intention is in the future to use my optro 12 ch side car and a furthur 6 optro mic pre / comp lim modules for a total of 30 inputs on mixdown or 24 with 6 comp /limiters all fully discreet transformer balanced. I will be able to pull the comps out of their rack and mount them in the desk, there is enough room. These will be set up via the patch bay and some bussing options the Audek and Optro side car have so i can group channels for parallel compression etc. 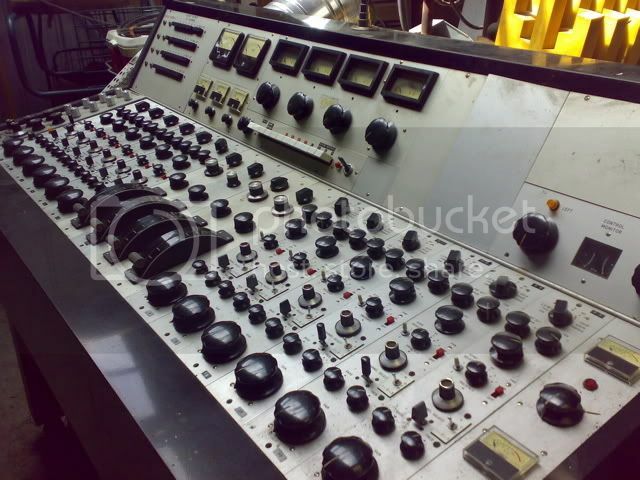 I will also get my Ampex MM 1100 hooked up to it for the tape option. Most likley anything that goes to tape wil end up in the box for mixdown so i can use the recall and automation etc. yeah, the different way of working could prove to be a good thing, but i certainly saw it as a tracking and summing unit. one hell of a tracking and summing unit, though. Here is a pic of the module innards. Fairly simple looking. Some of the transformers like the one shown are made by Graham Thirkle so i'm told and others are Gardiner's. Just above the transformer are the chokes ( or are they called inductors) for the passive eq. 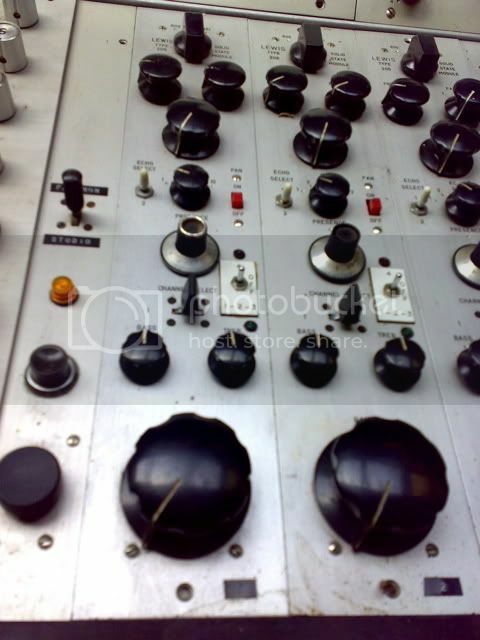 Just found out the module at the bottom right hand end of the console pic above is a dual mono comp / limiter, the two pots are for input gain. These will be patched in via the patch bay for individual channels or over a bus. There is a bit of spare space in the console frame for more comps so i'm looking for some like the AD&R if any one knows of some. Also any questions the techs here have, i would be happy to forward them on to my tech to answer. Getting the Neve pumpkin cards gave me a push to post an update. The desk has been operational for a few years now but work began a few weeks ago on another layer of the job. We are replacing caps where needed and adding a few stereo inputs. The Audek has a special design on the summing/ stereo bus output stage so that it virtually never runs out of headroom at the summing amp stage, my tech was explaining last week, though i don't fully understand the techy details,( getting there though). I am going to be summing my 6 silver optro pre's to a stereo input of the Audek so i think the Neve's pumpkin cards will be used as stereo output amps for the 6 Optro's. The Audek has 12 Ch, the Silver Optro's 6 and 10 of the newer 7500 Optro modules which already are built into a sidecar with stereo bus outs that will feed into another stereo input of the Audek giving me 28 chanels for mixdown from my computer or the 2 inch machine. The 3 little VU's on the bottom left are opto comps that can be selected comp 1 for the first 4 chanels comp 2 the next 4 and comp 3 the last 4. I will probably change that and have them on the patch bay and as there is plenty of room i will add more comps. 500 series should go well so i would like some API and maybe some Inward Conections as well........but it's all costing money so one step at a time. Thanks Tunetown for your generosity pushing the project one step forward with the freeby Neve pumpkin cards. That one will go on the good will account..... A free day or two in the studio when you're in Melbourne if you ever need it. I'd love to check your room out once it's finished. I'm really glad it found a good home and will be taken care of. i thought the awa conselette photos were all over the place it seems they are not . No worries , give me a couple of days, I'm off to regional South Australia (Berri, Renmark, Port Augusta, Port Pirrie) to our regional stations commissioning Studio Transmitter Links and preparing for Station relocations. I'll get some good shots of the AWA on the weekend and post them on this forum. I had an old RCA consolette like this one stolen from my shed on the Mornington Peninsula 10 years ago. It was in pretty bad shape but it was still a bit of a blow. hey Alastair if you are passing through Adelaide on your whirlwind tour of South Australia and have time for a cup of tea, swing on past. I'm five minutes out of the city centre. Will you be turning the Rola77's into cool little guitar amps?? I might be interested. Actually, Rick the one i had was smaller.... Like about half the size of the one pictures, the first 5 rotary faders. Just can't find a pic. Cool. Let me know if you end up with a spare. I'm interested. It needs some serious restoration work, This came out of the old Bligh St Studios in the mid 60's. There is a separate 8RU box that houses the power supply and Cue and Monitor Amps. And condition is nice for a 60 year old machine. Looks pretty clean. now keep it off gearslutz .. huh guys ..? Nice one Alistair.That's about the same size as the RCA i had. And yes, keep it off gearslutzzzzzz. So much has changed since the old gear has got net cred. Just a few years ago stuff could be had at "realistic" prices for restoration....now, a lot of the gear that gets the vintage tag on ebay is priced way over the top. I know where one is. I've had my eye on it for years. Its just sitting there doing nothing but the owner won't let it go. Can't win them all right. I know where one is.........or was but the owner wanted a ridiculous amount for it so i let it go.......i know where another is.......you never know. Seeing that AWA mixer reminded me that I have something similar, an RCA Portable Mixer, though the label calls it a portable amplifier. It can be run from the mains but it also has a battery box, see photo 1, lower section, that takes 16 D Cells which probably weigh more than the unit itself. It is all in working condition, but no, it's not for sale. Nice bit of polyoxybenzylmethylenglycolanhydride there . 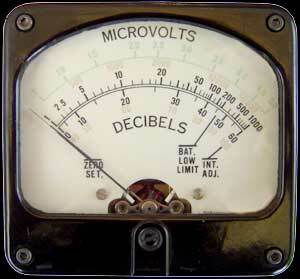 Are the transistors germanium on that one?